Yesterday morning I were surfing a bit before going to work. One of the sites I usually stop by is Etsy. 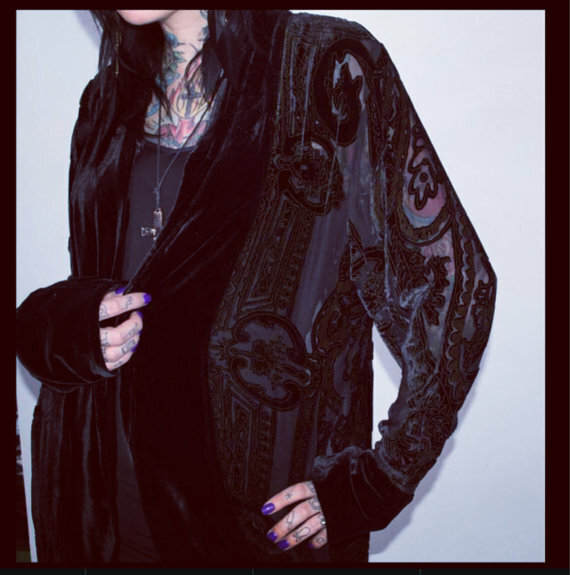 So much pretty stuff ♥ I stumbled upon a vintage piece of clothing and fell in love. I didn`t buy it immediately but as I went on with my surfing I could not stop thinking of it and got very scared someone else would buy it and I would never see the prettiness again. Oh the horror!!! Luckily I had some extra money on my paypal account so as I hit the buy button it didn`t feel to expensive either. I just can`t wait to get it! Typically it´s located in USA and probably will not arrive before a month has passed. I would had loved to have it on my vacation trips but I guess I will survive. I am going to search through all the second hand shop I can find during my trips. Sadly I usually don`t find any pretty clothing but maybe luck is turning. I did find this piece didn`t I!